Lindsey has been a practicing Physical Therapist for almost ten years. 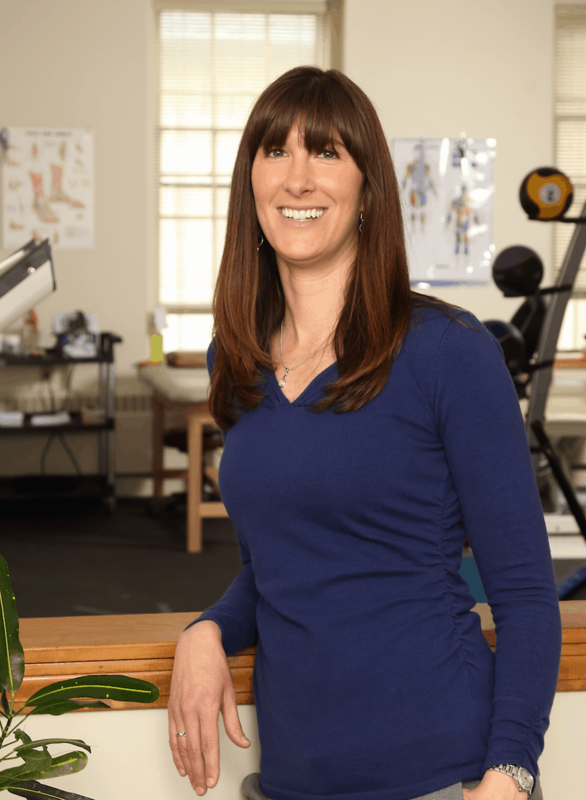 She attended Sacred Heart University where she received her Bachelors degree in Human Movement and Exercise Science and Masters degree in Physical Therapy (MSPT). Prior to opening Back On Track, she worked at Slate Valley Physical Therapy and Vermont Sports Medicine Center, both outpatient physical therapy clinics. She was the office manager of VSMC in Killington for two years, where she worked with high-level athletes from the US Ski and Snowboard teams. Her internships included Haven Health Care in Rutland, VT, a short and long-term rehabilitation center, Sports Med/Wheaton Orthopedics in Naperville, IL, an outpatient physical therapy and sports performance center, and Bridgeport Hospital in Bridgeport, CT, a Level 1 Trauma Hospital. Lindsey has done continuing education in ART (Active Release Technique) for upper and lower extremities, Myofascial Release, Kinesio taping, SIJ (Sacroiliac Joint) evaluation and treatment, and Graston Technique®.